CHICAGO (WLS) -- The off-duty Chicago police officer who fatally shot a man in Chicago's Hermosa neighborhood Monday morning has been relieved of his police powers, police said. Family identified the victim as Jose Nieves, 38. He was taken to Illinois Masonic Hospital where he was pronounced dead, police said. Police said Nieves was not armed. 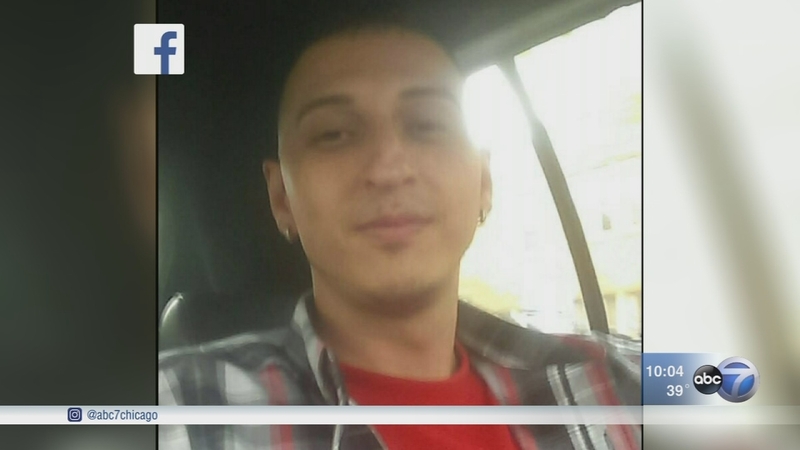 Nieves died of multiple gunshot wounds, according to the Cook County Medical Examiner. The Chicago Police Department released a statement on Tuesday, saying the officer was relieved of his police powers due to the investigation. "As part of the ongoing investigation of the fatal shooting on the 2500-block of North Lowell, this afternoon Superintendent Eddie Johnson has relieved the officer involved in the incident of his police powers. The Chicago Police Department continues our fact based investigation of the incident, in parallel with the Independent Police Review Authority." The shooting occurred in the 2500-block of North Lowell Avenue at about 9:14 a.m., police said. "The person who was shot did not have a weapon. That much we know. The officer's weapon is the only one we found," said police spokesman Anthony Guglielmi. At a news conference Monday afternoon, Chicago Police Superintendent Eddie Johnson said the shooting was a result of a verbal altercation and that the officer and the subject knew each other from a prior incident. Johnson and IPRA investigators are trying to determine how that verbal altercation turned deadly. "These two individuals knew each other from a confrontation a few weeks ago," Johnson said. The off-duty officer has only been identified as a 57-year-old veteran of the mass transit unit. He has been moved to desk duty for the duration of the investigation into the shooting. Family said Nieves worked security at a local bar and was with his girlfriend when the confrontation took place. Family and friends said the off-duty officer had lived in the same buildings as Nieves, and they had had several previous encounters. "He would complain about the guy pulling out his gun at him, him coming home from work. More than once, he's called 911. They've gone to the apartment. They've gone there. They don't do nothing about it. He's an officer," said Angelica Nieves, the victim's sister. His family said there is only one word to describe how he died. "I don't know. It's murder. Murder. They killed my son. They killed my son," said Angel Nieves, the victim's father. "You got him in the stomach, on the lower body, and the back. So he was turned around when he got him in the back. That's the bullet that killed him," Angelica said. This was the second police-involved shooting that took place in Chicago in two days. Chicago police have not yet confirmed that details and said at this time they are just trying to put together a timeline of the events leading up to the shooting. A police spokesperson said that despite earlier reports, the off-duty officer was injured in the shooting and is currently in the hospital. He will be questioned as part of the investigation. Supt. Johnson has asked for a briefing from detectives Tuesday morning. "I have a lot of, lot more questions than I do answers at this time. So I came out because I wanted to make sure this investigation was done properly," Johnson said.